As described in earlier posts, Kata coaching and the Improvement Kata are especially useful in the implementation of Super7 Operations. As you know, the theory and examples of Kata coaching can be found on www.lean.org/kata or in the excellent books and you-tube posts of Mike Rother. In this blog post I’ll explain the Improvement Kata in more detail. Traditional improvent is project based – see figure 1. The improvement Kata is a radically different approach to improvement. It does however show strong similarities to Agile or Scrum software development – but, the improvement Kata is applied on the shop foor, not in project teams or development teams. For me, it’s the best way to get to a true learning organisation and continuous improvement. And only a learning organisation that can improve continuously is capable to cope with the ever changing demands of customers, especially in the current market for Financial Services. This entry was posted in Lean, Teamwork & cooperative models and tagged continuous improvement, improvement, Kata, Lean, Lean Six Sigma, learning organisation, Super Seven, Super7 Operations on February 26, 2014 by M.R. van Dijk. There are several parallels between Yves Morieux’s Smart Simplicity and Super7 Operations – the new way of applying Lean in financial services. Last year, I had the privilege to attend a seminar on Smart Simplicity by BCG Fellow Yves Morieux. He explained that complexity and lack of cooperation is the common root cause to low productivity and low employee morale. He passionately explained how this works and how Smart Simplicity is the answer. Now, you can hear his theories for yourself, in his – highly recommended – TED talk, available on youtube (link – be warned, you may be buying a second TV after watching it). After hearing his story, I realized that there are parallels between Smart Simplicity fit in with Super7 Operations. Traditional organizational design, with its focus on the hard (structure, systems, etc.) and the soft (human relations, positive emotions, etc.) is obsolete. Instead, you should use the Six Smart Rules of Smart Simplicity. First rule is that you should understand what people really do, where they spend their time on. The second rule is that you should reinforce integrator or in other words make managers true integrators by removing as much layers of management as possible. The third rule states that you should empower as many people in your organization, thus increasing the total amount of power within your organization. The fourth rule tells us to create feedback loops that show people the effect of their behavior. The fifth rule is that we should increase reciprocity by removing buffers of self-sufficiency. Get rid of all the second TV’s in your organization. The last rule tells us to reward those who cooperate and blame those who don’t. The first parallel is cooperation. In Smart Simplicity and in Super7 Operations, cooperation is the key to increasing productivity and employee morale. Where Super7 Operations focuses on cooperation between operational employees, Smart Simplicity advocates cooperation between functions and departments. Second parallel is reduction of management layers. Super7 teams are highly autonomous, which means that less management is needed. In recent implementations of Super7 Operations, significant reduction of management was realized. And the second rule of Smart Simplicity is to reinforce integrators – Give managers (these are the integrators) discretionary power and interest to make others cooperate. And, according to Morieux in his TED-talk, this often means reducing management layers. The third parallel is delegation and empowerment. Super7 teams get as much power as needed to help their customers. Handovers are eliminated, because the Super7 team can do everything within the team. The fourth parallel is rewarding cooperation. Super7 teams are steered on output, but individuals are rewarded for cooperation. In summary, Super7 Operations and Smart Simplicity share several principles. Where Super7 Operations applies these bottom-up, starting on the shop floor of Operations Departments in Financial Services, Smart Simplicity is gives us a more holistic, strategic redesign approach. But the two don’t bite each other. Sometimes, it’s better to start small, to start bottom up and then gradually extend the same principles to the whole organization. In these cases, Super7 Operations may be easier to start with. And in other cases, Smart Simplicity is needed to redesign change entire value chains and to improve cooperation on interdepartmental level. This entry was posted in Lean, Service Excellence, Teamwork & cooperative models and tagged Lean, Super7, Super7 Operations on February 17, 2014 by M.R. van Dijk. Visual management creates the openness and transparency that are essential for Lean teamwork. Each Lean Team should have a team board, to my opinion. In true Lean companies this is common practice, but in Financial Services I have encountered Lean teams without one. Not so in one department that I helped with the introduction of Lean, or more specifically, a Lean way of working tailored for Financial Services – Super7 Operations. Team pride. Teams are proud of what they achieve, and of the improvements they have made. In this department, each Super7 team chose a team name – often a bit tongue-in-cheek – that was displayed at the top of the board. Often with pictures of the team members matching the theme of the team name. Output management: Each team shows their progress against the daily target, updated 4 times per day. The manager can see where help is needed, even before the question for help has been asked. Continuous Improvement: Each team shows the Kata-improvement or the experiment that they conduct that week. And some teams include an improvement idea list for improvements that go beyond their own team scope – which for instance the IT department can work on. Open and Transparent culture. Teams have nothing to hide from each other, from the management or from visitors. All results, good or bad, are displayed with pride. Good results as successes, bad results as learning opportunities. If you are familiar with the use of team boards in production or assembly plants, as is explained in detail on www.lean.org, these benefits won’t be surprising. The question remains, however, why there are still lean teams in Financial Services that haven’t adopted this best-practice. 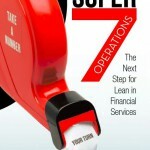 More information on Super7 Operations can be found in my book: Super7 Operations – the Next Step for Lean in Financial Services. My book explains the theory of Super7 Operations in detail as well as giving practical guides for implementation of Super7 Operations in the detailed case studies. You’ll get valuable tips and tricks for implementing Super7 in your own organization, from the people that have done it before you. This entry was posted in Lean, Operational Management, Teamwork & cooperative models and tagged Lean, Super Seven, Super7, Super7 Operations, visual management on February 10, 2014 by M.R. van Dijk. Kata coaching has successfully been used in practice, in organizations that have adopted Super7 Operations. One important lesson: keep it simple, keep the improvement steps small. Recently, Super7 Operations was introduced at a debt management department. The team managers responded very well to the step-wise improvement method of Kata. However, they sometimes found it difficult to accept that the goal for next week would be anything less than reaching the desired condition. This lead to too many actions on the action list, that couldn’t all be finished within one week. To my opinion, this one-week rhythm is essential for maintaining momentum in the early stages of development of Super7 Operations. The lesson that we learned is to keep the improvement-kata simple: one action in one week, one experiment, one problem to solve. 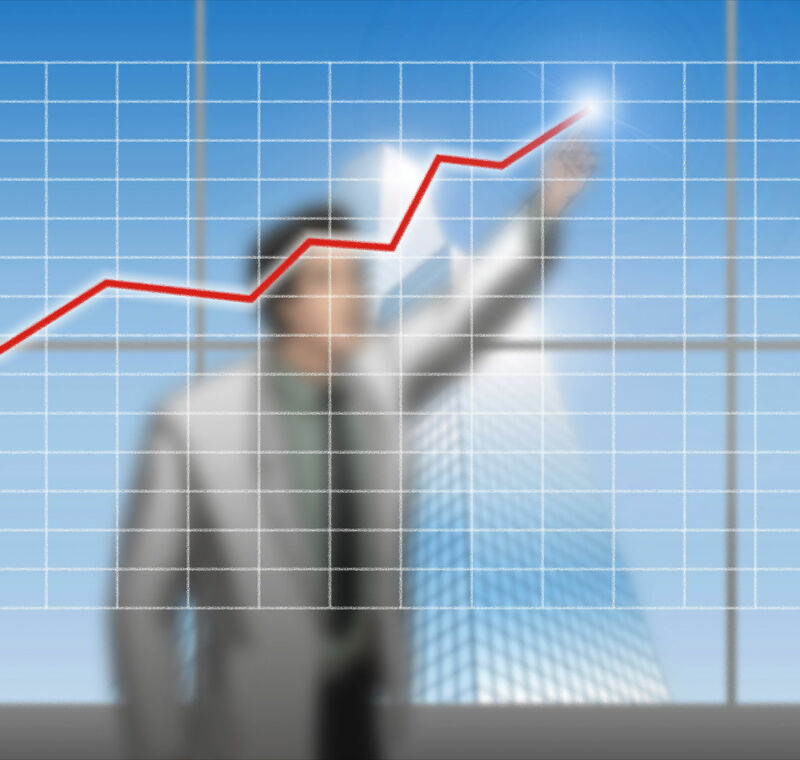 The improvement steps may seem small, too small perhaps, but in our experience this is in fact the maximum improvement pace for the organization. Where do you want to be next week on the development of this element of Super7 Operations? And what obstacles are preventing you from being there now? What action or experiment will you take to get to where you want to be next week? When will be able to evaluate what you have learned from this action or experiment? Theory and examples of Kata coaching can be found on www.lean.org/kata or in the excellent books and you-tube posts of Mike Rother. This entry was posted in Lean, Operational Management, Teamwork & cooperative models and tagged Kata, Super Seven, Super7, Super7 Operations on February 3, 2014 by M.R. van Dijk.